Many Russian analysts maintain that Russia's intervention in Syria is driven by Vladimir Putin’s desire to reinstate the status of the world's largest nation as a superpower and his genuine belief that the United States has deliberately seeded chaos in the region to secure its reign there. While this assessment may be accurate, it only reveals part of the Russian president's intentions. Russia’s military engagement in Syria comes on the backdrop of three major factors: a serious threat to the survival of President Bashar Assad's regime, Russia's old Middle Eastern client; Putin's success at securing the occupation of Crimea and expanding Russian territorial presence in Ukraine; and the evident weakness, even disarray, of the Obama administration in handling the war against Islamic State, also known as ISIS or ISIL. Two additional factors may have helped Putin make this risky decision now: Iran's strength in the region, following its success at securing a highly favorable nuclear deal; and the wave of Syrian refugees who threaten the unity and stability of Europe, thus mitigating its threat to Russian interests in Ukraine. Aware of Assad's weakness (Putin mocked the Syrian military during his public meeting with Prime Minister Benjamin Netanyahu) and that even Iran and Hezbollah's support cannot ensure the Syrian president's survival, the Russian leader decided to upgrade his previous strategy of providing military and political support to the regime. For now, this upgrade is taking the form of building a territorial military presence in the Latakia area –including some 25 to 30 airplanes, several thousand troops, naval infantry brigades, modern T-90 tanks and artillery, according to Jeffrey White of The Washington Institute – which will permit the Russians to carry out air strikes against rebel forces who threaten the regime’s strongholds. Few observers noticed Putin’s reference to the Kurds in his address to the United Nations General Assembly this week, when he said no one other than Assad and the Kurdish militias are "truly fighting the Islamic State." Was he hinting at another potential mini-state client of Russia in Syria? In “Time to put an Alawite state on the map” (Haaretz, March 20, 2013) this author proposed Israeli leaders lobby visiting U.S. President Barack Obama to work for a “grand bargain” with Russia to protect the Alawite minority in the face of the “inevitable collapse of the Assad regime,” defend it against a massacre by the Sunni rebels and destroy Syria’s chemical arsenal under international control. The main caveat to this agreement would be to prevent any Iranian/Hezbollah military or para-military presence in the future Alawite mini-state. The August 21, 2013 Syrian chemical attack that killed some 1,400 civilians triggered Russia’s and Iran’s decision to save the Assad regime from an American military strike and led to the September 2013 U.S.–Russia deal that removed most of the chemicals from Syrian turf. Actually, it was Russia’s and Iran’s decision to save the Assad regime that really weighed in the acceptance of the agreement by Syria. The scheme was most probably planned in the meeting in Moscow on September 9 by Syrian FM Walid al-Moallem in coordination with Iran, represented by visiting Iranian Deputy FM for Arab and African affairs, Hossein Amir-Abdollahian. The result was the survival of the crumbling Assad regime, Russia's transformation in a main player in the conflict, coordinating with Iran, and the further radicalization of the disillusioned Syrian rebel forces, which perceived America betraying its own values and promises. Indeed, Putin has now found in Iran his best ally for building a coalition that includes “Assad’s Syria,” Hezbollah and Iraq, the next target in line. Even Egypt is inclined to work with the Russians. It is in this framework that one must consider the intelligence cooperation agreement between Iran and Hezbollah, Iraq’s decision to permit Russia to send military hardware through its air space and to create a coordination cell on the Islamic State, and Iran’s purchase of $21-billion worth of Russian satellite technology and aircraft. Nasrallah said last week that additional Russian forces and highly advanced weapons systems were arriving in Syria, and noted that while an official Syrian request for Russian intervention had not yet been made, one may be imminent. Nasrallah was right: the first Russian air strikes in Syria, which were conducted on Wednesday, had nothing to do with ISIS. Instead, they targeted moderate Syrian rebels in the strategic Homs area, which threatens the strategic road linking Damascus to the Alawite Coast. Those in Israel who expressed careful optimism after the meeting between Netanyahu, Israel Defense Forces Chief of Staff Gadi Eizenkot and Putin yielded a “coordination agreement” between the two air forces have now witnessed an example of how the Russians “coordinated” their first air strike in Syria with the Americans. If the United States continues hesitantly zig-zagging on Syria, Israel should take into consideration that its hands will also be tied, as this will embolden Russia to undermine an important American ally in the region. Will it be safe for Israel to give the Russians information before an attack on a vital strategic target of Hezbollah or Iran? What if Russia passes this intelligence on to Iran before such a strike? Putin has already said he is concerned about the Israeli attacks in Syria, hinting that Russia will clip Israel’s wings over Syrian skies, as Haaretz's Amos Harel put it. The stronger and closer Russia's alliance with Iran and Hezbollah on the ground, the harder it will be for Russia to repress the desire to accommodate its friends. 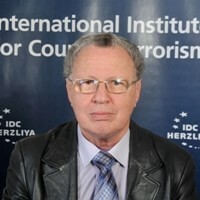 The new situation in Syria and the region should provide Israel and the United States with an incentive to coordinate more closely on their political and military strategies concerning the Russian intervention. Israel has a lot to offer in the operative and intelligence field. This could also trigger closer cooperation with the moderate Sunni states and even with Turkey, whose game plan for Syria could be ruined by the Russian intervention.